In this guide you’ll discover the Top 5 VPN providers for use with a Firestick or Fire TV. We’ve tested a whole bundle to find you the very best. If you’ve got an Amazon Firestick or Fire TV then you’ll know how useful these little plug in and play media boxes are. You’re also probably aware that a VPN can open up a whole new world of content for the Amazon Firestick and Fire TV. But which VPN should you choose for the Firestick? We aim to answer that question and save you not only time searching but also money by cutting out the providers who make bold claims but fail to live up to their advertising. Our favourite VPN for the Firestick and Fire TV right now is IPVanish because their incredibly easy Amazon app but the following after some extensive testing are our Top 5 choices. If you’re looking for simplicity then IPVanish is definitely the VPN for your Firestick or Fire TV. They were one of the first VPN services to release a dedicated Amazon app that can be installed directly onto your Firestick or Fire TV with the click of a few buttons on your device’s home screen. Simply search IPVanish in the Amazon store and install. The app is custom made for the Fire devices so unlike other providers it works well and has an interface built specifically for the device. There are more than 60 countries available to connect to and a 7-day money back guarantee giving you plenty of time to test it out. ExpressVPN follows a close second to IPVanish as they also released a dedicated Amazon app at the end of 2017. Connecting is really easy and even if you’re not technically minded you really can’t go wrong. We really loved the massive 30-day money back guarantee that gives you longer than most to test the service. The service boasts VPN servers in well over 90 countries across the world and while they’ll cost you a dollar or two more than IPVanish you do get more choice for connection. If you’re a Kodi lover you’ll love the fact they’re registered off-shore in the British Virgin Islands and they store no-logs of what you watch or do while connected. This has even been proven in a recent court case. VPN.ac is a lesser-known VPN service that you might not have heard of. However, they also have a dedicated Amazon app which can be installed with just a few clicks on your Firestick or Fire TV. They do have fewer servers than both IPVanish and ExpressVPN but what they lack in servers they make up in privacy protections. They have one of the clearest privacy policies and what little they do log they delete in 24 hours. This is certainly a go-to provider if you’re a big Kodi user. We loved the fact you can use 1 service on up to 6 devices at the same time meaning not only can you secure your Firestick or Fire TV but also multiple other devices in your household. StrongVPN begins our selection of choices of VPN services that don’t offer dedicated Amazon apps but can be side-loaded using an app called Downloader. Using downloader it’s possible to install the Android app on your Firestick or Fire TV and use it in the same manner as an Android app. They’ve recently overhauled their service and now offer a huge 30-day money back guarantee and unleashed a whole suite of smart new redesigned apps. 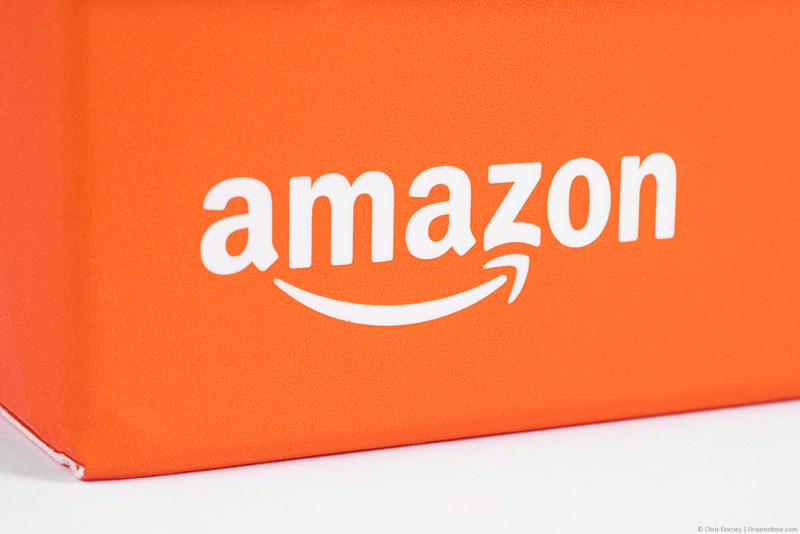 They don’t have the server coverage of the other providers but if you’re looking to move away from the usual suspects above who do offer Amazon apps then they could very well be the choice for you. CyberGhost VPN rounds up our selection of VPN services to use on your Firestick or Fire TV. They don’t yet have a custom client for the Amazon devices so you’ll need to side-load it using the Downloader app and use the Android CyberGhost app. It’s not a perfect solution and we recommend you stick with IPVanish or ExpressVPN but if you’re looking for more options then they’re worth checking out. They have a 30-day money back guarantee which gives you time to check the service out and see how it functions on your Firestick or Fire TV. Choosing a VPN for any purpose can be difficult. With so many options it’s increasingly time-consuming and confusing when searching for the best. Choosing a VPN for your Firestick or Fire TV can be made even harder by the fact many services don’t cater specifically for the Firestick. It’s one of the reasons why we recommend IPVanish because their custom Firestick app makes it really easy to install and use without any hassle. If you’re looking for a Firestick or Fire TV VPN then it’s best to choose one that has a custom Amazon app like IPVanish, ExpressVPN or VPN.ac. You’ll have a much better experience and you can use it without the need to mess about trying to install and set-up another service that isn’t made for the Fire devices. Thankfully these days installing a VPN service on a Firestick or Fire TV has been made incredibly easy. Below we’ve listed the steps needed to install our recommended VPN service, IPVanish. Visit the IPVanish website by clicking here and sign up to their service. On your Firestick or Fire TV press the magnifying Search icon. Type in ‘IPVanish‘. On the app the displays click to Install. Click on the newly installed IPVanish app and open it. Login with the account details you made when signing up. Select the country you want to connect to and press Connect. The IPVanish Firestick app will now connect for you and after between 15 – 30 seconds let you know it’s connected. You’re now free to use your Amazon Firestick or Fire TV like normal while protected by the VPN service. We know searching for a VPN for your Firestick or Fire TV can be difficult which is why we put together this guide. All you need to do is choose one of the VPN services above and sign-up. We recommend IPVanish because they’re the quickest and easiest to use but the other 4 are all good services in their own right too. If you’ve got the time it’s worth visiting the website of each provider to see what they offer. Click the button below to visit our recommended provider.